We are frequently asked, "...just what distinguishes your firm from your competitors?" In addition to being justifiably proud of results we have achieved with our clients, I suggest the following distinctions and differences from other consulting firms in our field. We are dedicated to helping organizations maximize fundraising efforts. With over 45 years of experience in strategic planning, board and staff retreats, campaign readiness assessments, feasibility studies, campaign consulting and management, volunteer and staff training, prospect research, we are committed to our client's success. We consider clarity and transparency essential for clients to assess and consider. Our firm's intended objectives, applied methodologies, candid findings, and resulting recommendations are made clear to our clients, whether in initial meetings, proposals, or written reports. Thoughtful personal attention for our clients has become a benchmark of our success. We are committed to your organization's mission and success. We quickly respond to questions and requests from clients during and after completion of the assignment. Our Associates are skilled, experienced professionals dedicated to serving the specialized needs of your nonprofit organization. 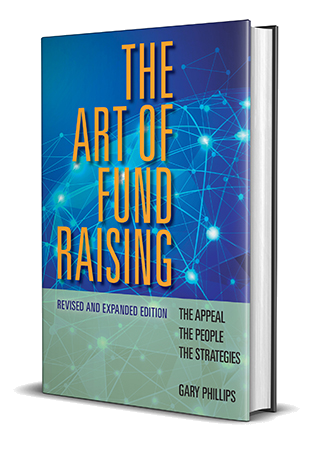 We are proud of our reputation for helping our clients navigate the complex world of fundraising. We are committed into developing long-term, mutually beneficial relationships. We take pride that most of our business is derived from client referrals, client references and repeat engagements. Our fees are based on our expertise and experience and the complexity of your assignment, not on a percentage of the funds raised for your project. We adhere to AFP's Standards of Professional Practice Consultant Compensation.